Video of Shirley Webb, a 78-year-old grandmother from St. Louis, deadlifting 225 pounds is going viral on social media. ST. LOUIS -- A powerlifting grandmother is taking the Internet by storm and even has the attention of some famous athletes. 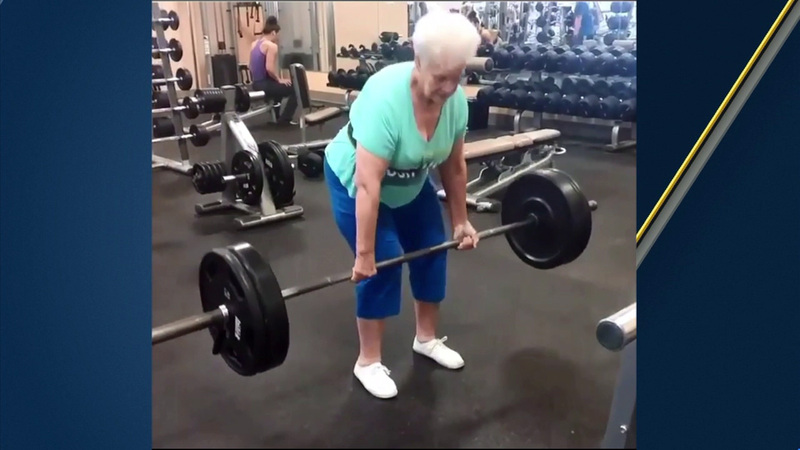 Shirley Webb isn't your typical 78-year-old, as she can deadlift 225 pounds. Webb was in poor physical shape when she decided to join a fitness club near St. Louis two years ago. About six months later, she was deadlifting in the 200 pound range. Webb has set several weightlifting records for her age group in Missouri and Illinois. She works out about twice a week and said she feels so good she has no intention of slowing down. NFL superstar and fellow powerlifter J.J. Watt tweeted that he's just hoping to live until he's 78, let alone still be deadlifting at 78. Webb hopes to set a national record for deadlifting in June, which should be obtainable, since there isn't a national record in her age group.